A number of Somalia’s separatist states are run by diaspora groups in the Midwest. In the spring of 2011, dozens of Somalis packed into an event hall to celebrate the impending election of the first government of their one-year-old separatist movement. A middle-aged man in a yellow cardigan and gray sport coat swayed at a podium, singing along to tinny Somali pop, flanked by portly men in suits dad-dancing. Behind them, young men bounced, waving the baby blue-and-white flag of their homeland: Awdal State, in the northwestern corner of Somalia. But Awdal State wasn’t declaring independence from Somalia. It was declaring independence from Somaliland, a secessionist movement that’d declared its independence from Somalia two decades prior. And the Awdalites didn’t want their own independence. They wanted autonomy (including their own president) within Somalia. And when I say “Awdalites,” I don’t actually mean people in Awdal. The hall with all those awkward dancers was in Minneapolis, Minnesota. The government election later that year took place in London. And the president they wound up electing was a middle-aged dude living permanently in Ottawa, whose day job was stuffing flyers into a local paper. The Awdal State saga is convoluted, but that’s par for the course in Somalia, which is not so much one nation as a nesting doll of self-declared states within states, a fair number of them run not by locals but by diaspora Somalis. These faux-parliamentarians believe they’re helping their kin back home; often they have real grievances. Still, it’s tempting to write most of these states off as ineffectual nationalist bluster from bored burb dwellers. But sometimes for folks on the ground, they’re just a headache. It’s hard to say how many of these statelets and sub-states there are. Over the last decade they’ve popped up and down like whack-a-moles; at the height of the self-proclaimed state craze around 2012, Somali wonks estimated there might be 30 to 50 movements vying with the U.N.-backed nation of Somalia and each other. 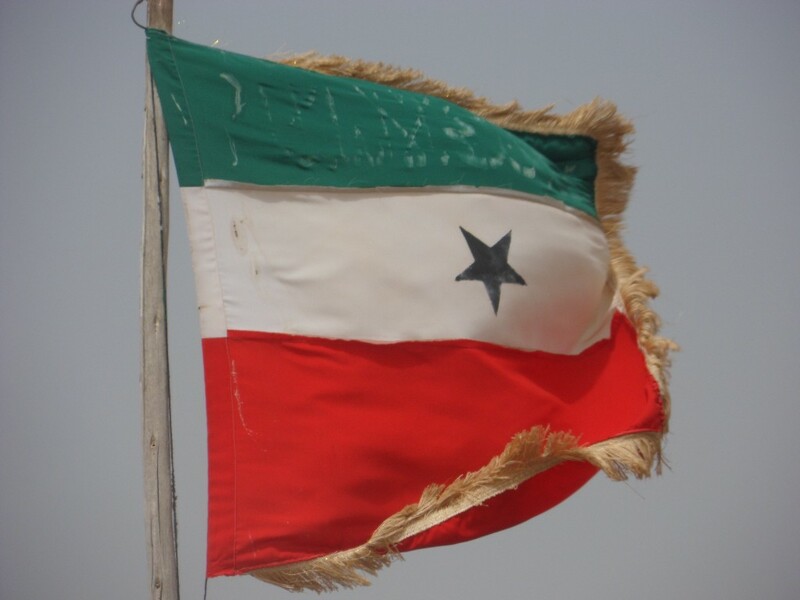 Even within Awdal, itself just one of several separatist movements within the Somaliland bloc, some have advocated for sub-regions to break away as autonomous units of Somaliland. The Awdalite diaspora’s literature makes standard nationalist nods to the region’s history of independence. The sixteenth-century kingdom of ’Adal nearly conquered Ethiopia (before a surprise cameo by Vasco da Gama’s son, Cristòvão, and a contingent of musket men, fouled things up). But the real source of their discontent, and of a previous feint at independence in 1995, is complex clan politicking. To wildly abbreviate: Awdal’s dominant Cissa and Gadabuursi clans were party to the talks that created an independent Somaliland decades ago. But many believe they were strong-armed into that effort by the violence of the Isaaq clan at the heart of Somaliland; there’s some evidence that Isaaq massacred hundreds to thousands in the region, during the rise and height of Somalia’s anarchy in the late eighties and early nineties. 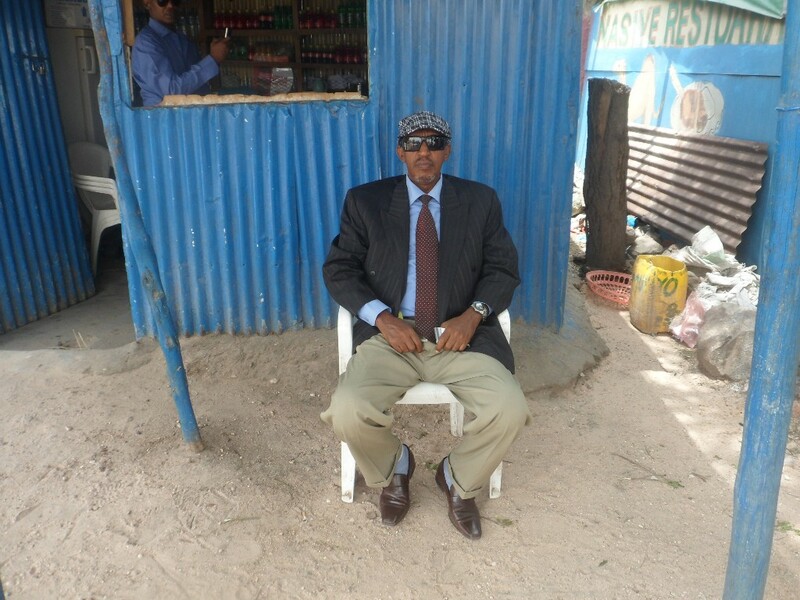 A Somaliland Member of Parliament, outside a cafe in Hargeisa in 2013. The aforementioned Ottawa-based Awdal senator claimed that ninety-five percent of all Gadabuursi, not just in the diaspora but on the ground as well, support the movement. And Abdi Darar, of Awdal Online (a now-defunct site whose URL links off to the Twitter account of a different Somali man in Sweden), told me I could find advocates of the state in every major city in Somaliland. But in 2013, when I asked to meet with local supporters in Awdal, both men demurred. The senator told me no one would dare to speak out in favor of the movement because of the pervasive fear of the Isaaq, which also prevented him from giving me any names. Darar told me the diaspora would answer all my questions. They didn’t. 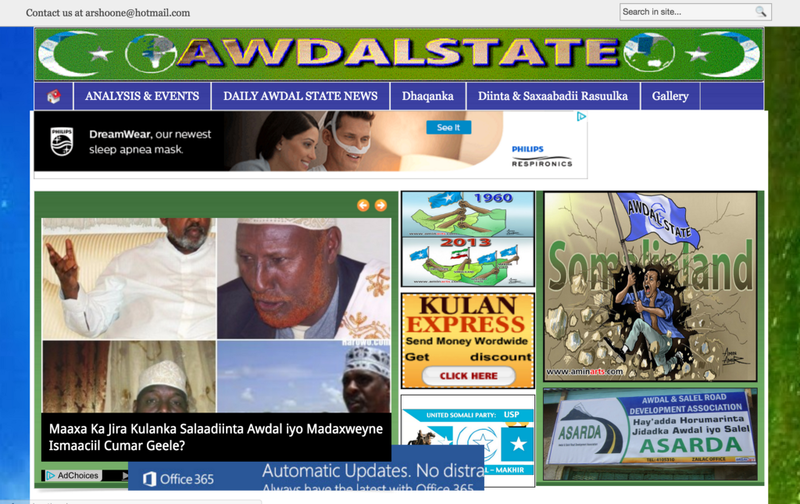 I recently asked Hussein Hassan of Borama Online, a popular Somali-language news site based in Awdal, if he’d ever met any local supporters of the state. I could hear his eyes rolling over the phone. Hassan said that locals are peeved about power-sharing issues. Like most people in Somalia, he welcomes diaspora involvement in the region for aid and development. But he sees the diaspora Awdal State as a quixotic effort. “They don’t have anything [any power] to push the people who’re living here to [oppose] Somaliland,” he said. According to Marcus Hoehne, a specialist on the region at the Max Planck Institute for Social Anthropology, there’ll be a demonstration on the ground in Borama every now and then, but no one supports the diaspora-backed government. They just want assurances that they’ll get more development and representation. For all its hokey and inconsistent flag designs, poorly maintained web presence, and bizarre recent media spots — for all its resemblance to a press-release mill — the Awdal State movement still riles up Somaliland supporters, some of whom paint it as some big threat. That’s because some separatist and sub-separatist movements really are major concerns. Take another pro-Somalia, anti-Somaliland movement: Khaatumo State. Formed in 2012, Khaatumo was likewise born of clan grievances. The local Dhulbahante people thought they were getting dicked by Puntland and Somaliland, both of whom claimed authority over their lands, and figured they’d be better off as an autonomous part of Somalia proper. Unlike Awdal, locals have been willing to fight, taking up arms in periodic skirmishes for about half a decade now. Khaatumo State was founded in Taleh, the one-time capital of the early twentieth century Dervish State insurgency, by local elites, a fact which likely accounts for their ability to mobilize physical and sustained regional resistance. But its foundational meeting was heavily coordinated and attended by members of the diaspora. Ever since, a diverse array of diaspora groups, from California to Columbus, Ohio, have supported the movement, providing political advocacy, sponsoring developing projects, and offering murkier support as well. Osman Hassan, the head of one of many pro-Khaatumo support groups, said they still play a huge part in the movement, down to choosing leaders. The diaspora Awdal State can’t cause as much immediate trouble on the ground as Khaatumo. But by publishing claims that Somaliland harbors al-Shabaab terrorists and that they can’t control their claimed territories, the Awdal State movement makes it almost impossible for Somaliland to legitimize itself. And by claiming they’re part of Somalia, they make it hard for that government to work out its differences with Somaliland. Awdal does have real grievances, and with diaspora Somalis playing a large part in redrawing the internal lines of the UN-backed state, it’s only logical for everyone to try to carve out a slice of nation that’ll benefit their interests. But you’ve got to wonder what the part-time, long-distance heads of Somalia’s breakaway-within-breakaway states hope to achieve with their flags and press releases. It’s hard not to see these movements as impractical-to-flippant-to-harmful. It’s something I’d love to talk to Awdal State’s president about. But he’s left his job at the Ottawa Citizen’s mailroom and I’m having a hell of a time tracking him down.